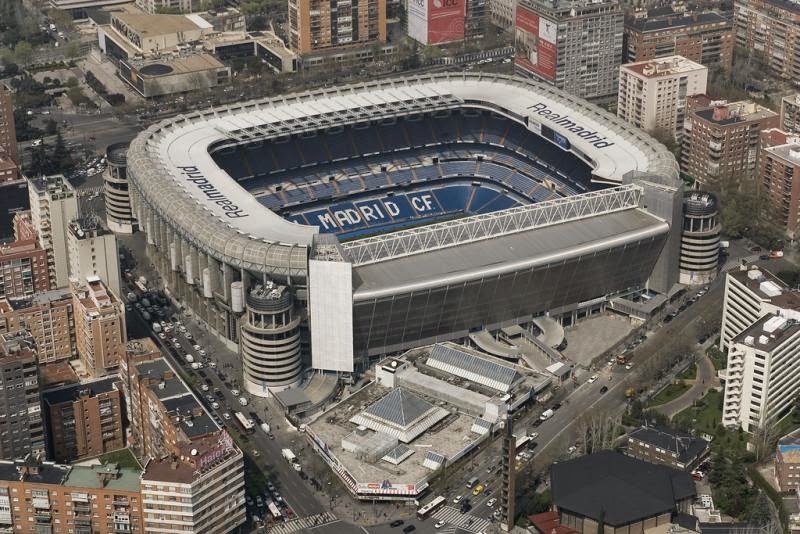 According to reports from Marca, Real Madrid is close to a deal that would see them sell the Santiago Bernabeu stadium naming rights for about 500 million euros. The stadium is currently named after former player and President, Santiago Bernabeu, who was largely responsible for Real Madrid’s to prominence in European football during the 20th century. This deal if indeed goes through, will be something that not every Real Madrid fan and purist will see as a positive. While the money injection to the Real Madrid safes will be important, losing the epic and iconic name of Santiago Bernabeu, in replacement of something else will not be an easy pill to swallow for most. The Spanish newspaper, Marca, reports that the deal could be reached with International Petroleum Investment Company (IPIC), which is owned by the Government of Abu Dhabi. It would a 20 year contract, worth around 500 million euros which turns out to be about 25 million euros per year until 2034. IPIC also owns the Spanish multinational oil company CEPSA (Compañía Española de Petróleos), so when looking at possible names for the stadium, CEPSA could be one of the names or even Abu Dhabi, since the oil company is owned by the government of the country as I mentioned above. Real Madrid will be using the money to refurbish the stadium, and the new name won’t be agreed upon until the work on the stadium is completed. There is a possibility of a merger of names that would still see Santiago Bernabeu on the name with the addition of another name to it. Florentino Perez knows that the fallout from changing the stadium name could be massive, but he also knows that the club needs the funds to be able to refurbish the stadium. Selling of the naming rights to a stadium is very common in modern football, most teams have taken that path, but fans do not always want to see it happen, especially when you are talking about a stadium as iconic as Bernabeu. It won’t be an easy sell for Perez, but perhaps the solution will come by having two names associated with the stadium allowing the current one to still be part of the new stadium name. I hate to see stadiums like this lose their name over a large sponsorship deal, but I also understand the business side of it. Having said that hearing commentators like Ray Hudson calling a game and referring to the stadium as CEPSA stadium or Abu Dhabi stadium will be without a doubt strange.